Switch Today & Get 50% Off At Themify! Are you currently using a theme on your website from a company other than Themify? Well there’s no better time than now to switch over to Themify’s huge selection of themes. Act now and you can receive a 50% discount simply by providing us both your site URL, and your purchase receipt (screenshot will do) of your site's theme purchased through another vendor. Our team of experts can help you create a similar design to your existing site’s theme, or help setup a fresh new look that will captivate your visitors. Making the switch is easy, and backed with Themify’s initial installation and setup support, we’ll make sure to help you find your perfect theme today. Submissions must be made by new members and prior to purchasing. We reserve the right to approve or deny submissions based on validity. What if you use the builder for every post and for some reason need to disable it–short or long term- what happens to all of your posts? Unfortunately, the content that you’ve built using the Builder won’t appear if it’s deactivated. I want to switch to Themify but I haven’t been contacted yet. I reached out to your company over 4 days ago. I’ve responded to your email now. Thank you for your patience. I would like to subscribe to Themify. But I will be using some of the themes for affiliate marketing on Amazon (different countries), Ebay, and alibab/aliexpress. So would it be possible to add my affiliate IDs to these themes (especially with amazon/All countries affiliate IDs). How can I add products straight from wordpress with images and contents from Amazon? is there a possibility to add a 90 days cookie instead of one?? Please allow us to look into this. Are you able to send us an email about this here – https://themify.me/contact ? I’m trying to upload my receipt which is a PDF, but the upload plugin tells me that that file isn’t to be uploaded. CSV files aren’t working either. Any suggestions? We’ve fixed this issue now. You can now upload PDF :) Thank you for your patience. Yes, all our themes are built based on the same WordPress platform. With that said, both plugins should work with our themes. Hi Kurt, I need to know if I start building with a new theme if I can transfer my current domain from WordPress to the new theme? Yes, this is possible. Contact us here – https://themify.me/contact and we’ll help you do this. Thank you for your patience. I am having problem with the builder, sometimes its load, sometimes its not.. Please contact us here with more detail (i.e. Site URL) here – https://themify.me/contact so we can provide you with further support. Can you clarify what you mean by “your site’s theme purchased through another vendor”? I currently use a free theme on wordpress. I want to purchase one of your themes. This offer is only available for users who are currently using another premium theme. We can offer you a discount if you are using a free theme, please contact us here: https://themify.me/contact. Note that our themes are for self-hosted wordpress.org sites, not wordpress.com. What do you mean that your “themes are for self-hosted wordpress.org sites, not wordpress.com.” ??? If I use ‘Managed WordPress’ from GoDaddy to host- I can NOT use your themes ??? Self-hosted means that it’s not hosted by WordPress.com. Yes, you’re correct. If you’re using a Web Host provider like GoDaddy then you’ll be able to use our themes on your site. I believe I’m using a free version of Themify Ultra. Am I required to purchase the full version in order to sign up to use the support forum facilities? What if I was using a premium theme on a local test server? I have the receipt but not a live site (in fact, I have a couple of receipts). One of my live sites is still in Prestashop. I’m switching to WP and have been battling various premium themes for a month now. (I thought WP was supposed to be noob friendly, but I digress.) I need a wysiwyg builder and am hoping themify is the solution. Please submit it anyway. We will make an exception for you. I am having the same issue as Kris. My WP setup is on my computer, so I can design it and test it before I take the old one down to put up the new WP one. A very close friend of mine recommended that I try Themify as well. I have purchased quite a few themes, and I am having quite the time trying to build what I want. Should I submit my receipt as well? Yes, please submit it via this post. Does the 50% only apply to your themes or the Club memberships too? We can offer you a discount for Club memberships. Please contact us: https://themify.me/contact. Hi Themify, I am using free version of Ultra theme by Themify (local wordpress) not ready yet, can i get 50% on the clup membership as well? I sent my url: midnightbluemarketing.com, along with my receipt for the theme (and admitted to having spent more on other themes) three days ago, but I don’t see any response in my email. Could you be running behind? Or am I searching mail, using ‘Themify’, but not using the correct term? I would like to purchase one of your themes to create a portfolio, and maybe kick-off a web design business, but for now I could really use the discount. Apologies for the delay with our response. But do you mind sending us a direct email at info[at]themify.me with your query. I’ll be sure to respond as soon as possible. Thank you for your patience. Is the discount a recurring discount or one time? Please allow me to clarify how our membership works :) Like most other WordPress developers/vendors, all Themify products are a one-time fee, none recurring payment. The 50% discount is a one-time payment. Your purchased licence includes one year of free product updates and support. After one year, you can still use the themes or plugins you’ve purchased, however you will no longer have access to file downloads, updates or support. We offer 30% discount for renewals. You will receive a discount code 30 days prior the expiry date. Renewal is optional. Please contact us directly: https://themify.me/contact and we will sort them out for you. Can I use this with shopify? No Black Friday deal for 2016? Yes, we do. We just released it yesterday and you can find more detail about it here – https://themify.me/blog/black-friday-50-off-sale-300-worth-amazon-gift-card-10-master-club-giveaway. I’m currently using another premium theme which we purchased two years ago. How much discount i can get if i purchase your Master club or Lifetime club membership? We’re actually doing a promotion right now for Black Friday (https://themify.me/blog/black-friday-50-off-sale-300-worth-amazon-gift-card-10-master-club-giveaway) where you can get a 50% discount using coupon code – BLACKFRIDAY on any purchase (excluding Lifetime Master Club). ANd a $150 discount using coupon code – BLACKFRIDAYLIFE. Please feel free to take advantage of this promotion to get either the Master of Lifetime Master Club membership. Hi, unfortunately I couldn’t find the receipt of the studiopress elite theme I bought 2 years ago and I want to subscribe as a member here. How do I benefit for the 50% discount? Does this include 50% off Lifetime Master access? Unfortunately, this does not apply to Club memberships. It only applies to single theme purchases. I purchased Themify ages ago but never really got my website going. I now need to get my site going. Are you able to offer the 50% for re-subscribing? Do you mind contacting us here – https://themify.me/contact with your Themify username and we’ll see what we can do for you. Thank you for your patience. If I choose the single site option at 50% off, does that include the free second site that is offered? “Buy any theme, get any second theme for FREE!”. Also, dost the single theme purchase come with lifetime upgrades like most other theme providers? Please allow me to clarify this for you :) All Themify products are under the GNU General Public License. What this means is that once purchased you can use it on an unlimited number of sites. Just note that only users with an active Themify membership will be able to access support and updates. With that said, if you sign up and eligible for this promotion you’ll receive 1 + 1 WordPress theme for 50% off. Hope that clarifies this. If you need any further clarification with anything, please don’t hesitate to reach out to us here – https://themify.me/contact. 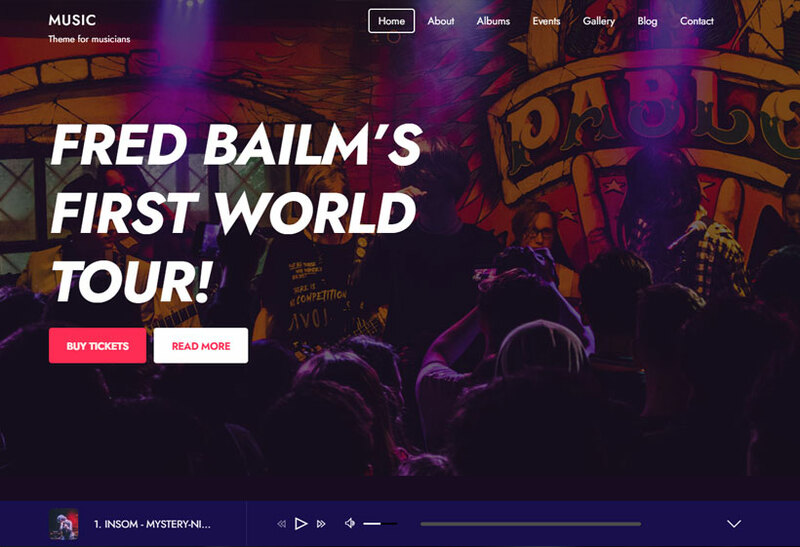 I’ve downloaded themify ultra for free and build a parallax wp site using Hogan Chua tutorial (https://www.youtube.com/watch?v=grItaOxuyTE). I’m asking for exact informations on themify builder price and what’s included in the offer so as themes, lifetime, invoice and contact forms, and so on. I just want to build a site without searshing for for buying additional plugings. I’ve alredy suscribed for your newsletter. The Themify Builder as a stand-alone plugin is priced at $39 (https://themify.me/builder). Please note however, that if you’re planning to use our theme for your site you don’t need the Builder as a plugin. 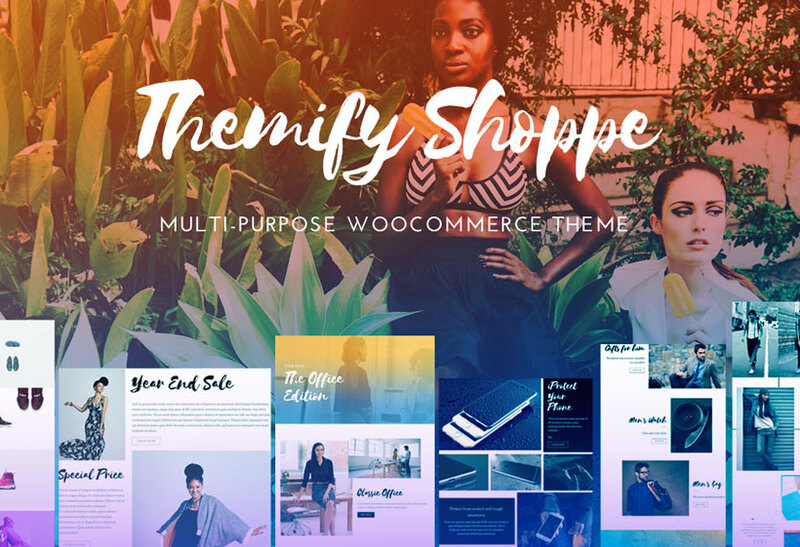 All Themify themes comes built in with the Builder already so you can just purchase the theme for $49 here – https://themify.me/themes and you’ll get access to the Builder with the theme. 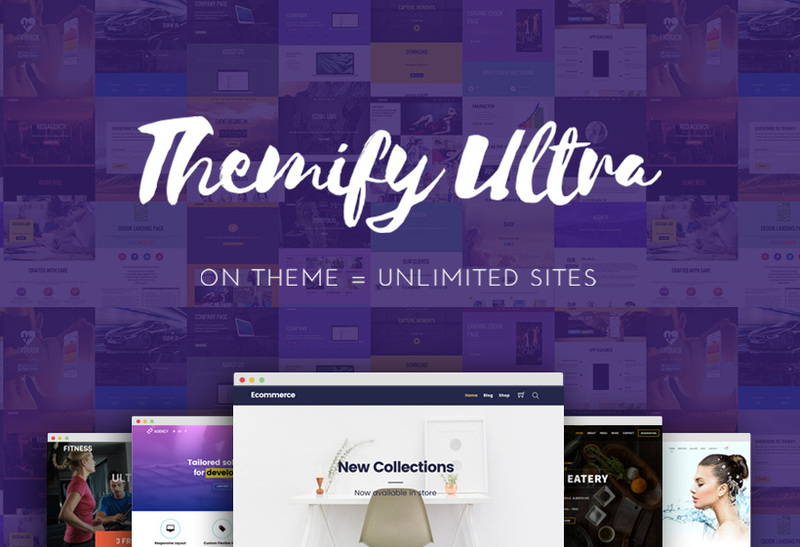 If you purchase our Ultra theme (https://themify.me/themes/ultra), you’ll actually get access to 11 bonus Builder addons on top of an additional theme as well. So you basically don’t have to purchase anything separate in order to get the same layout as what we have on our demos. Hope that answers your question. If you need any further clarification with anything, please don’t hesitate to reach out to us via our contact form here – https://themify.me/contact. I sent in my information yesterday, but haven’t heard anything back yet. I’m making a purchase today so how will I get a 50% discount? Hi, I want to know if my site is compatible with themify, can you please help me with that? We sure can :) Please contact us here – https://themify.me/contact with your site URL and we’ll help you with this. Please note that our themes works with any site as long as it has WordPress installed. Hello. 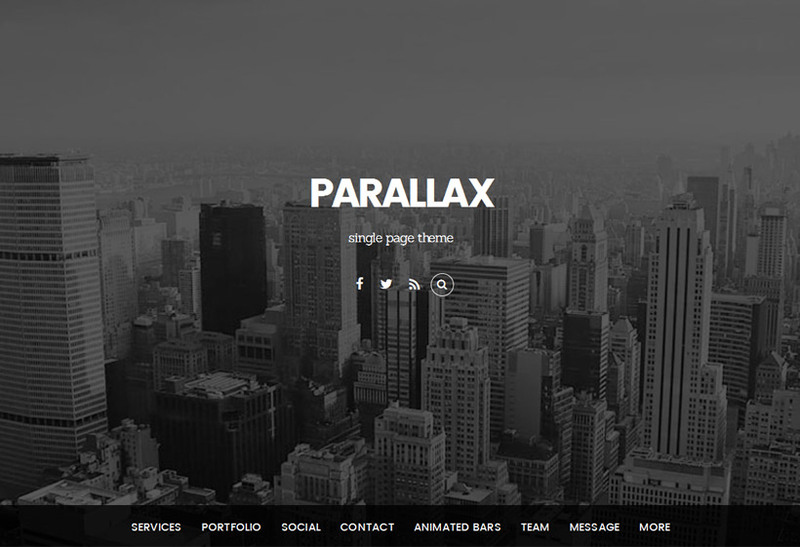 I’m using a free theme on my site. can i get the 50% coupon? i want to have a portfolio site.. i’m finding it very difficult to create one. i tried installing plugins .. guess i’m a newbie. I have tried several formats including PNG, JPG & PDF. File sizes all less than 150k. That’s odd. I just tried this and it seems to be working. Do you mind trying one more time? If it’s still showing that error please email us directly at info[at]themify.me with your details and we’ll look into this. I’ve sent 3 messages to support, as well as my receipt through this page 3 different times, and a tweet in the past 10 days but have not received a response? Please allow us to help you with this. Please email us directly at info[at]themify.me. We’ll be sure to respond to you immediately. Hi, still can we get benefit from this. Yes, you can definitely still apply. Just please note that it only applies to single theme purchases. I was hoping to switch to themify but haven’t been answered to the two emails I sent. I’m not sure if they just aren’t going through, but I am very interested. Sorry about that. We will contact immediately. I would like to purchase the theme right now. I have emailed my receipt. Can I get a refund for 50% even after I purchase at full price. Of course. Please email us directly at info[at]themify.me with your user ID and we’ll look for you submission and see what we can do. Hi, I’m looking into switching to your themes however I must have FULL RTL support and ability to translate. Do you have RTL support on your themes and the builder? Thanks! Yes, Ultra is RTL ready and you can translate it to any language. Hello! Just applied for a 50% using the form above. Will wait for your confirmation if I qualify so I can buy it later or tomorrow, or as soon as possible. I’m in the process of updating my site. Thanks! Hi, I’d like to use this promo but I only had purchase receipt by email from E*v*t* because it bought by my spouse last year. Can I apply it by screenshot? Thus, the website currently is offline as it’s a messed up theme. How to pass site URL then? Can I still apply it without form above? Yes, a screenshot is fine. Still no answer? I’ve found a coupon for 50% off but its expired (SPORTSKIN). I need it quickly or I will find other theme instead waiting for confirmation. I am using smart slider 3 Pro to design my site. Interestingly your Row/Column Frame Styling on your site has similar feature on the smart slider 3 Pro. I need the themify ultra how much will be the cost after the discount is applied. Is the 50% discount offer still valid? I have been a long time fan of your themes and they are still actively used on many of the blogs. I am very satisfied with the themes both from the looks and SEO perspective. For me, these themes have performed particularly well in niches like Android Apps, mobile apps, Movies and technical blogs. I particularly liked the Simple and iTheme2 themes. I was wondering if you have any Haloween discounts for your new themes.